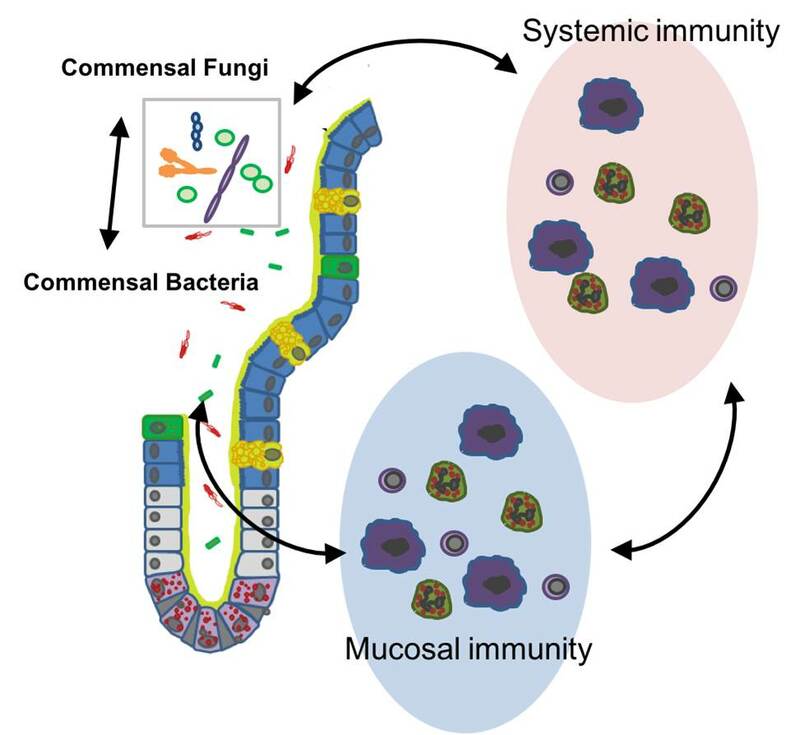 The ‘Host-Microbiota Interaction’ lab (HMI) studies the complex interplay between the intestinal microbiota and the host immune system, both locally and systemically. 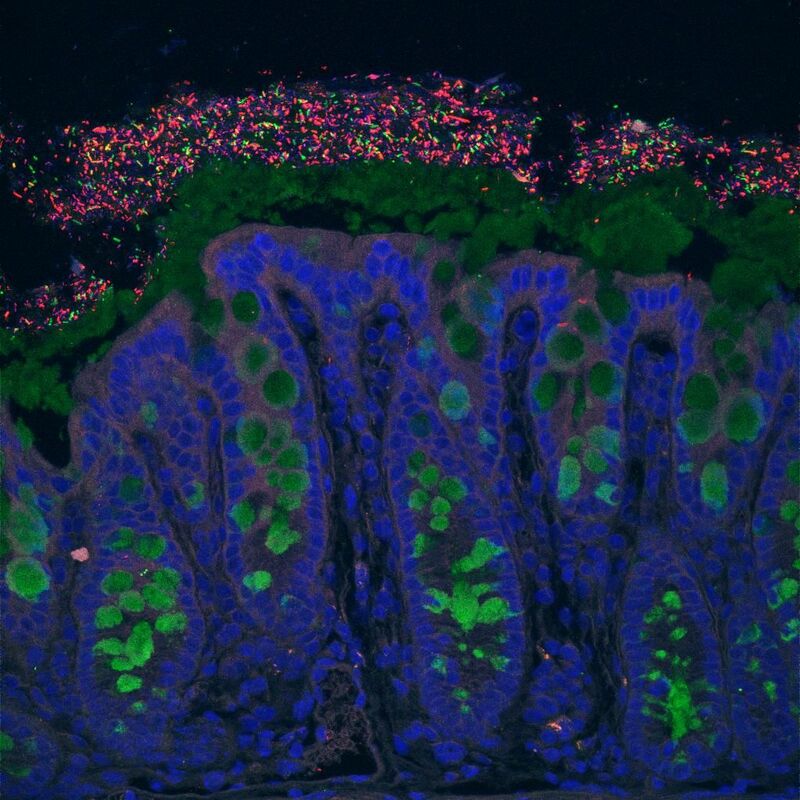 The lab investigates the fundamental mechanisms underlying immune pathologies including spondyloarthritis (SpA) and IBD using genetic mouse models, and studies the role of the intestinal microbiota during disease development. We have a strong interest in immune-modulating functions of enteric bacteria, fungi and helminths. The HMI lab is embedded in the department or Rheumatology (headed by Prof. Dirk Elewaut) at the Ghent University Hospital, and has a special focus on the mechanistic link between intestinal and joint inflammation (the gut-joint axis). The lab coordinates the Ghent Germfree and Gnotobiotic mouse facility and is part of the ‘Ghent Gut Inflammation Group’, a research consortium around intestinal inflammation at Ghent University. Catrysse L, et al. A20 prevents chronic liver inflammation and cancer by protecting hepatocytes from death. Cell Death Dis. 7(6), e2250, 2016. Slowicka K, et al. Optineurin deficiency in mice is associated with increased sensitivity to Salmonella but does not affect proinflammatory NF-κB signaling. Vereecke L, et al. A20 controls intestinal homeostasis through cell-specific activities. Nat Commun. 5, 5103, 2014. Takahashi N, et al. RIPK1 ensures intestinal homeostasis by protecting the epithelium against apoptosis. Vereecke L, et al. Enterocyte-specific A20 deficiency sensitizes to tumor necrosis factor-induced toxicity and experimental colitis. J Exp Med. 207, 1513-1523, 2010. Schematic overview HMI lab. Click to enlarge.